A pod of seven White-beaked Dolphins,Lagenorhyncus albirostris, off Dungeness, Kent. They gave a spectacular display including leaping clear of the water as they fed and were in view for most of the afternoon. I have looked at the sea on an almost daily basis at Dungeness since 1989 and this is the first time I have seen White-beaked Dolphins. 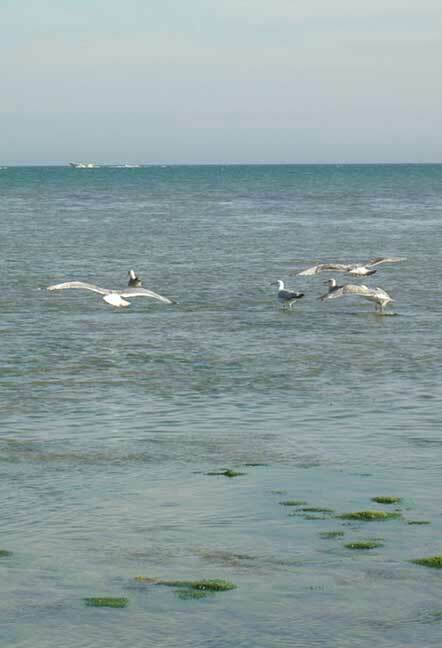 NB: This species of dolphin is not often recorded in the eastern English Channel. Commercial fisherman Andy Le Prevost trawling on the Lady Patricia caught a Almaco Jack, Seriola rivoliana, (originally identified as a Guinean Amberjack, Seriola carpenteri), on the south-west Casquet bank, near the Channel Islands, at night. The fish was caught at a water depth of 25 metres. The fish was small (length; 30.7 cm, weight 637 grams) and similar in size to the specimen caught by George Staples east of Herm Island on 7 September 2000. 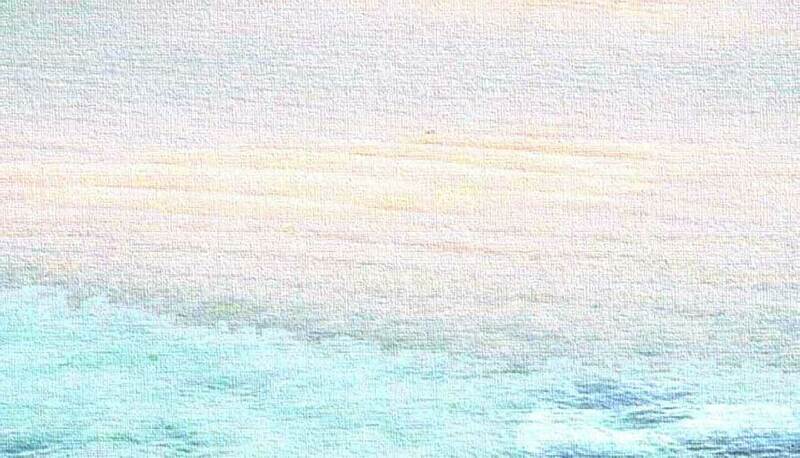 The sea temperature was 11.7°C. My records indicate that this is the fourth confirmed Amberjack species caught in Channel Island waters. 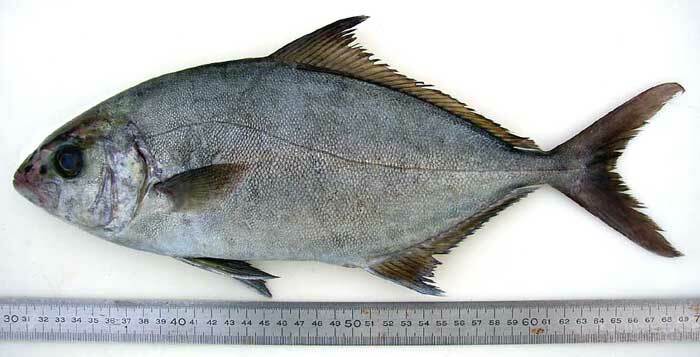 Sea Bream, Pagrus pagrus, on weighing 2688 grams whole (5.93 lb). 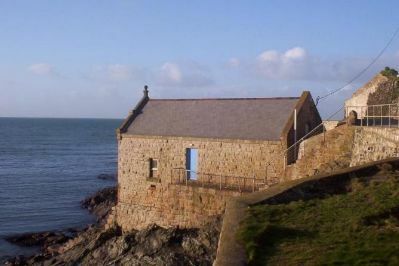 The fish was netted in a water depth of about 20 to 25 metres over a mixed shell-gravel bottom off Guernsey's west coast. 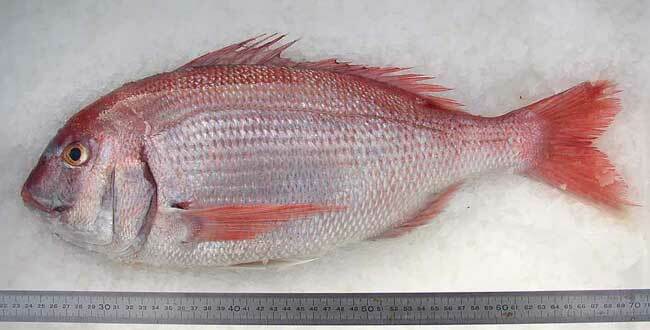 This is the largest Couch's Sea Bream that I have recorded in Guernsey. Small Couch's Sea Bream have been frequently landed in recent years around the Channel Islands, but this is a southern fish and it is uncommon any further north. A commercial fisherman gill netted a 15 cm long Tadpole Fish, Raniceps raninus, off the Pea Stacks on Guernsey's south coast. This is a solitary rather than an unusual fish from around the Channel Islands and all my Guernsey records for this species occur between November and early April. A small Big-eyed Tuna, Thunnus obesus, was reported caught on road and line off south-west England. This is the first record on these report pages and the only previous record seems to be from 1985. Further details are not available at the time of writing. 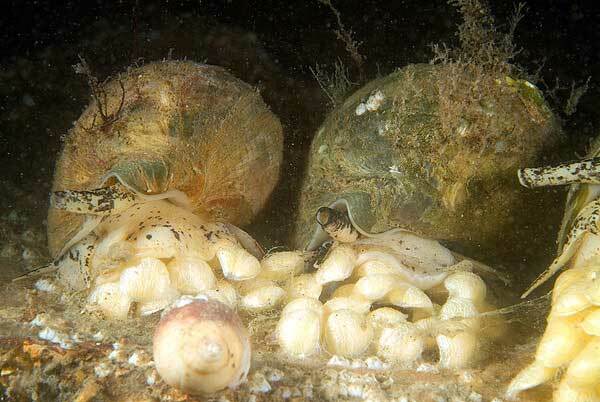 A Pogge, or Armoured Bullhead, Agonus cataphractus, was photographed under Selsey Lifeboat Station at a depth of four metres in a sand and muddy area with a few areas of hard clay bedrock. 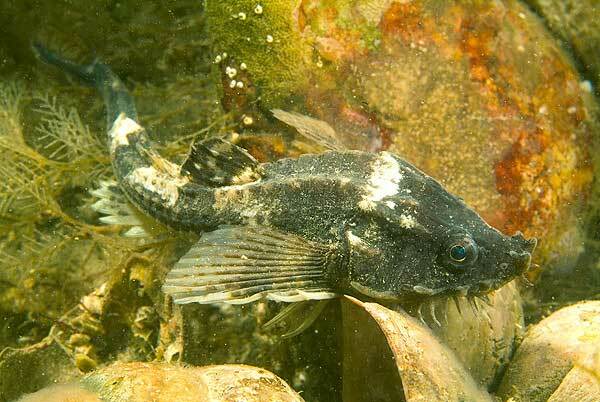 The sea temperature was 11° C.
The Pogge (it is not clear how often this book name is used) or Armoured Bullhead or Hooknose, is a fish that is rarely reported by divers, anglers, fishermen, rockpoolers or shrimpers, but this absence is not because it is rare. It is believed to be common in the shallow seas over sand around most of the British coast and it is one of the small fish most often washed up dead on the strandline of Sussex. Its small size and favoured habitats means that its is not caught on rod and line and it inhabits the rather barren sea bed areas that are of little interest to divers. It swims over sand and its sensory organs around its mouth indicates it feeds on organisms in the sand, probably worms and shrimps. They is a complete absence in the BMLSS records of live specimens caught on the shore. 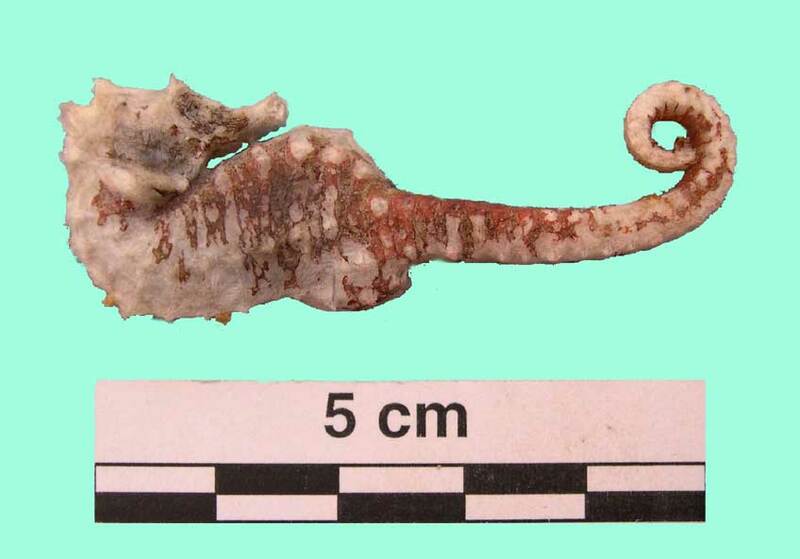 It should be confused with the often encountered Short-spined Bullhead (or Sea Scorpion), Taurulus bubalis. Photographers submitting pictures should indicate if they wish them to be considered fro inclusion as confirming permission takes work and time and can delay publication of the news bulletins. 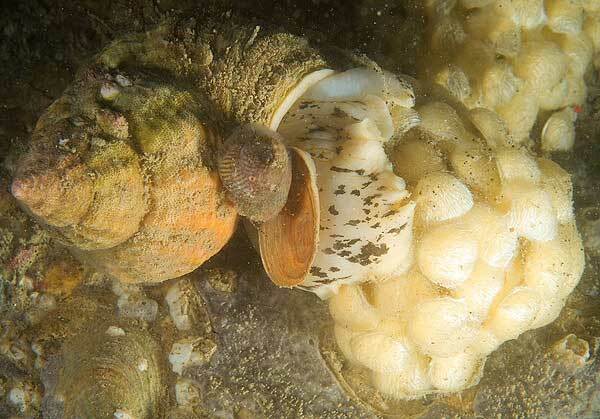 The National Marine Aquarium in Plymouth have several web pages for information on this new dive site. Please click on the logo for more information. 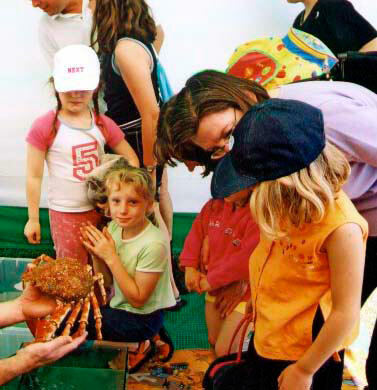 This Sea Shore Antics CD provides, for education or intrigue, an insight into some of our sea shore UK marine wildlife. Moving and still images are given in a range of video clips, sequences, time-lapse formats, and photographs, along with written or narrated features providing information. A new film called Deep Blue from the makers of the Blue Planet opens in good cinemas. 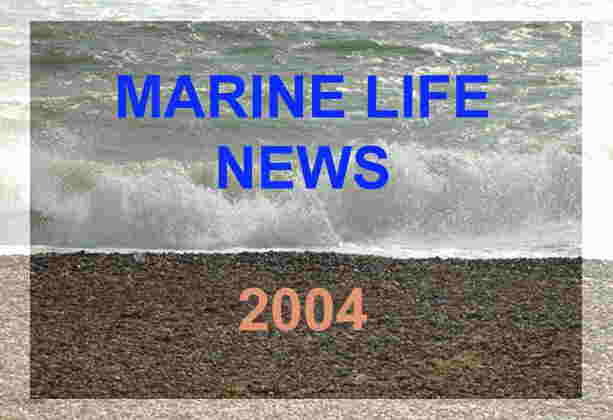 In May 2004 the English edition of the very popular Norwegian Marine Fauna (Dyreliv I havet) was published. Prof. David Bellamy has written the foreword. More than one thousand underwater photographs and 608 pages with updated information on marine fish and invertebrates from nearly all marine phylum in Northern European waters. The largest newspaper in Norway, Aftenposten gave the Norwegian edition 6 out of 6 points in a book review. It is in use at all major higher marine biology studies in Norway. The English edition is translated by Prof Fredrik Pleijel and Dr. Sabine Cochrane. "Marine fish & invertebrates of Northern Europe” is written for anyone with a general interest in marine animal life, and who would like to learn more about their way of life and behaviour, about the role they play in the drama of nature, and the benefit and nuisance they are to man. The main portion of the book is arranged in such a way that the different animal species are presented in a natural, systematic order. More than one thousand magnificent colour photos of animals taken in their natural environment support the informative text highlighting the characteristics of each animal. 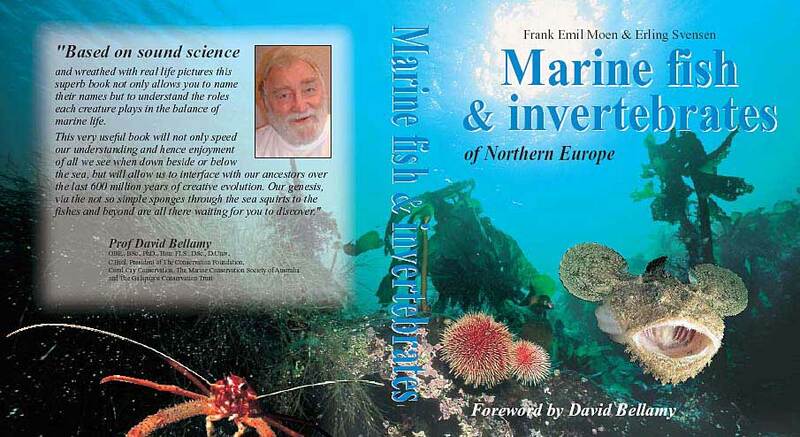 “Marine fish & invertebrates” covers the North European marine fauna and is a readable experience in itself. 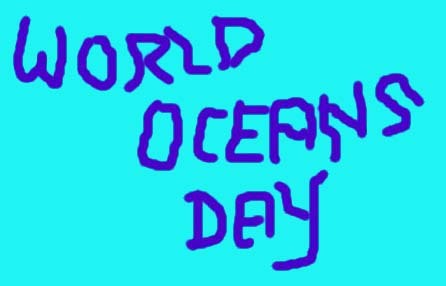 In addition, the book is an important aid and source of inspiration to all who delight in the ocean with its hidden life whether if be hobby, study or profession. The book is available from Aquapress in the UK, Skandisk, Inc. USA and KOM in Norway . NAUSICAÄ - French National Sea Experience Center, in Boulogne-sur-Mer (Northern France), is a Science Center entirely dedicated to the relationship between Mankind and the Sea. Its goal is to incite the general public to discover the sea and to love it, while raising its awareness on the need for a better management of marine resources. Within the scope of this mission, NAUSICAÄ gives access, on its recently redesigned web site, to a database containing links to the most interesting web sites concerning the sea-related topics and marine activities.